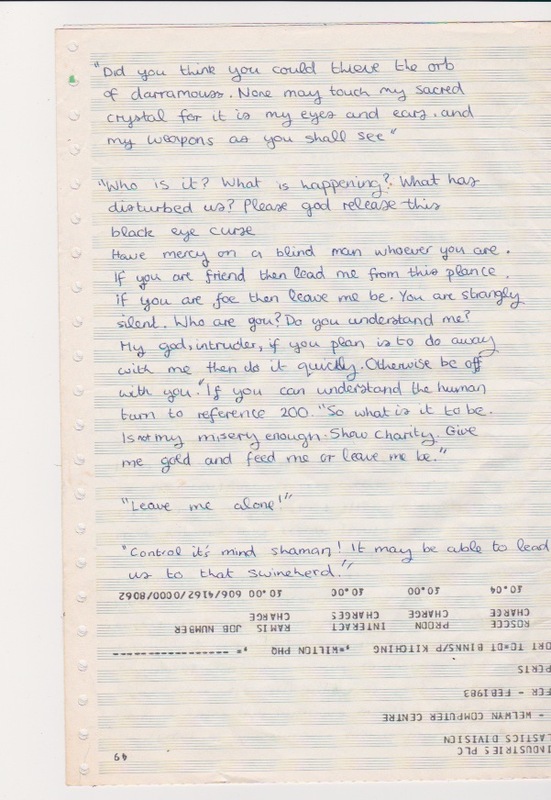 I found a folder down the back of a bookshelf. 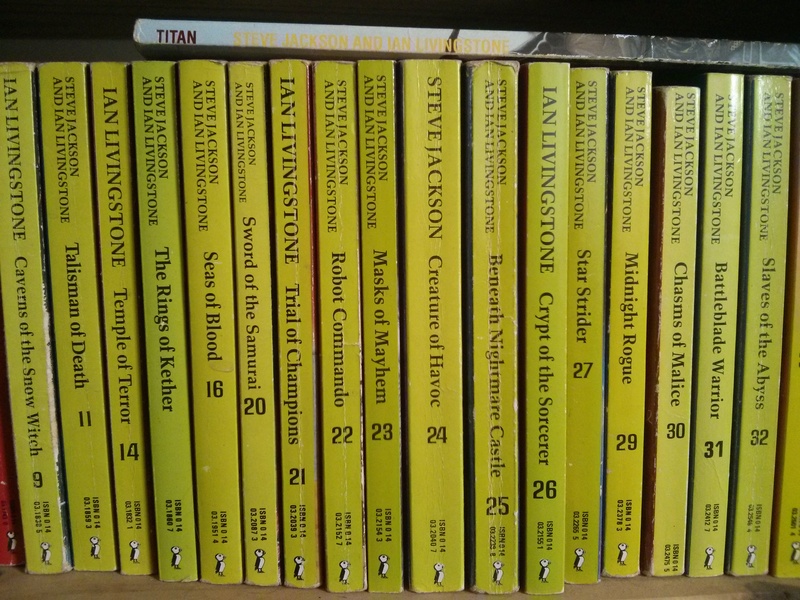 It was the shelf full of Fighting Fantasy books. 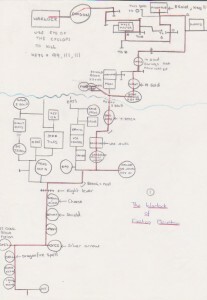 The first Fighting Fantasy book that Catherine & I bought was The Forest of Doom from the church jumble sale. I wonder if anyone raised an eyebrow at two little girls buying this? I was thrilled by it. A book and a maze. 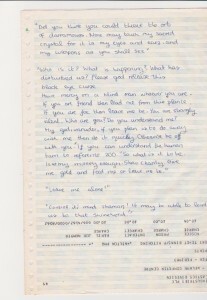 A book that was a maze! So I bought more, one by one from the WHSmiths in Enfield shopping centre. I remember being appalled when Black Vein Prophecy cost £3.50. I thought they would always cost £1.95 or maybe £2.50 for a really hefty one. My first introduction to inflation. The folder is full of maps. 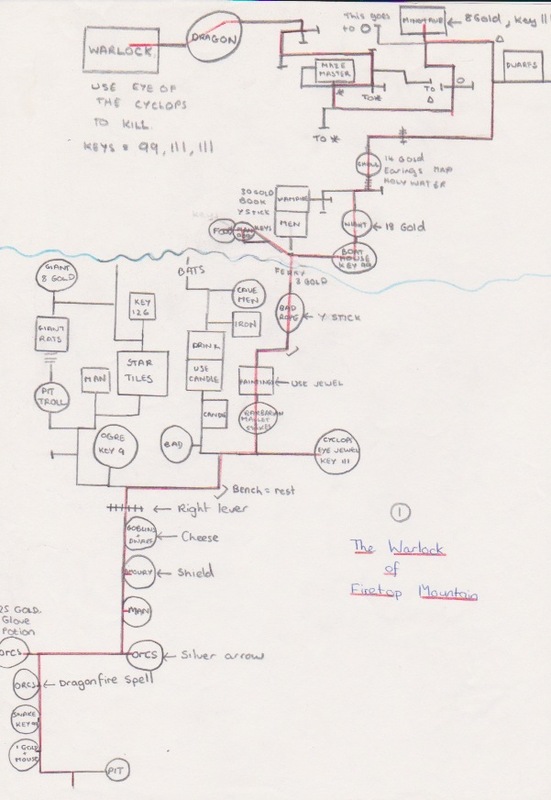 Maps of those book mazes. 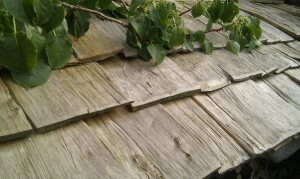 Some are scrappy, works in progress, tools to help you along. 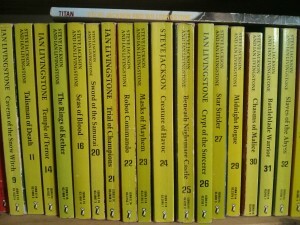 But some are too perfect and must have been redrawn once the book was completed. 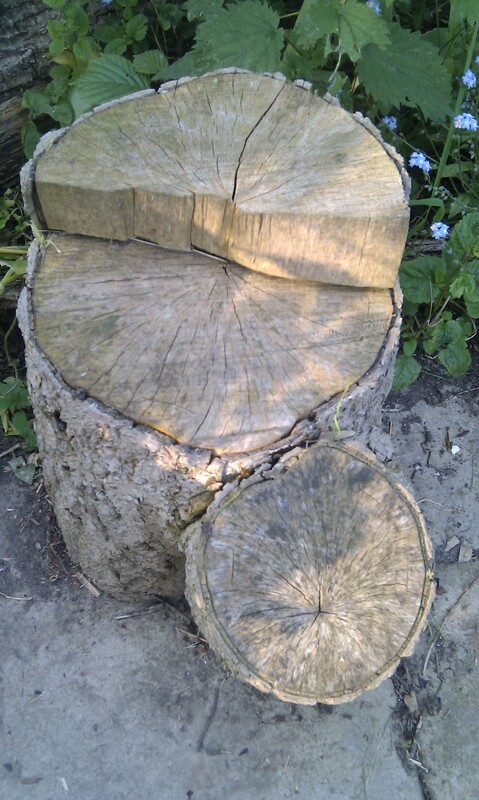 As a record, knowledge to be stored away. 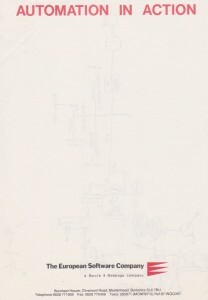 There’s a stack on kids’ art paper but one map is drawn on the back of this. 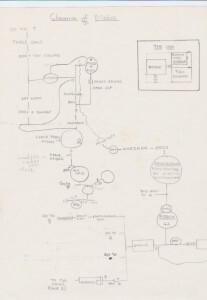 And there’s a great deal of complex figuring out on the back of these green bar computer printouts. This set is from “Imperial Chemical Industries” so must be stuff that Dad brought home. I remember narrower green bar printouts that Mum would bring home from the Broxbourne council IT department but there is none of that here. 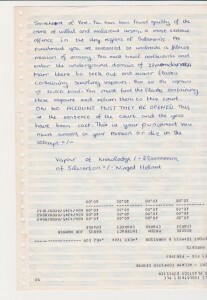 The computer paper records the great frustration of my Fighting Fantasy stage. The Creature of Havoc. I got stuck with The Creature, every option on every page seemed to lead to death. The map didn’t help. 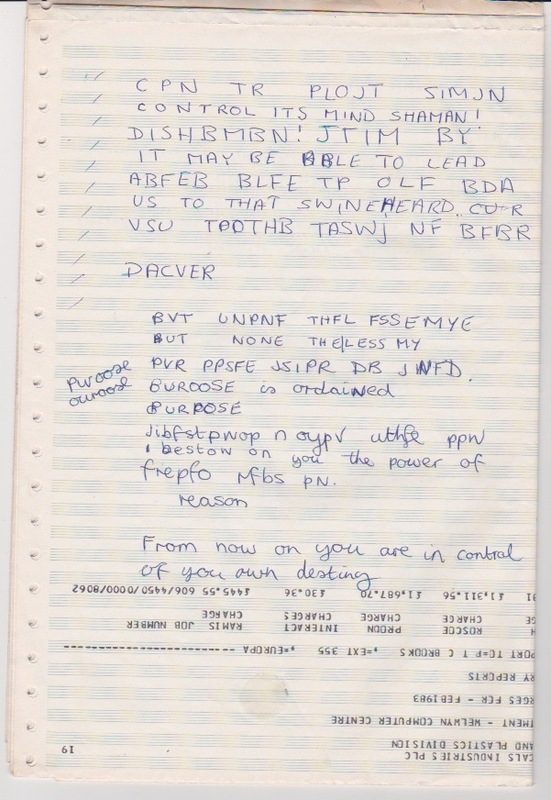 Decoding the encrypted bits in the text didn’t either. I went through the book page by page and found the end point that was about dying horribly. And then tried unsuccessfully to backtrack. 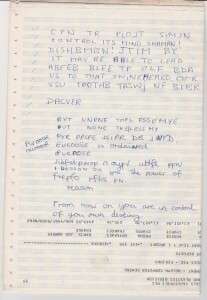 Today, with the internet, it took a few mintues to find out (as I had believed in 1988) the book was broken. But back then I just had to trust to the map. 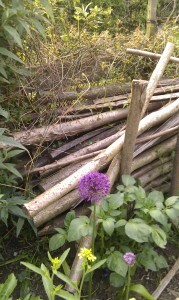 I’m walking through our garden. 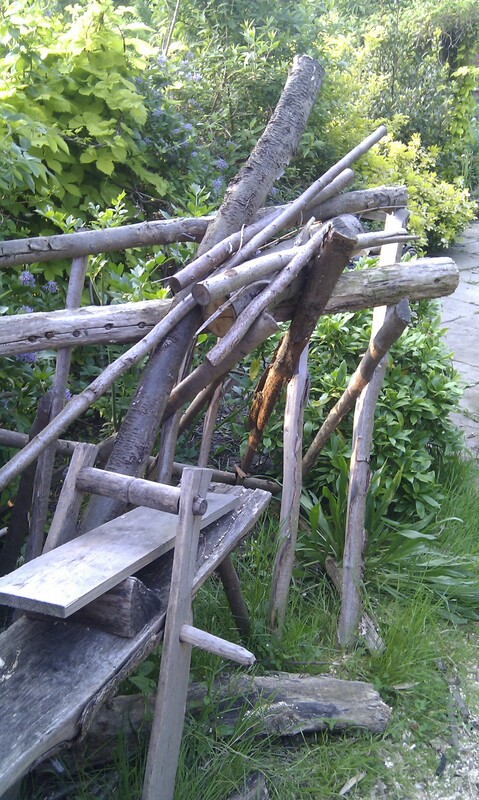 There’s normal garden stuff: trees, shrubs, patio, table and chairs, a washing line. Not much lawn but that’s down to the chickens. But all about there are also the signs that an (untidy?) craftsman works here. A cleaving brake in the veg bed, a pole lathe that is fighting a losing battle with Boston Ivy, a shave horse sheltering under the jasmine, a persuader that has rolled under the rhubarb, chopping blocks next to the path, a saw horse that has perhaps seen better days. All around there are remnants, waste, bits in need of a purpose: saw dust, wood shavings, cleaved sticks, trimmed ends, rejected twigs. There are finished products too. 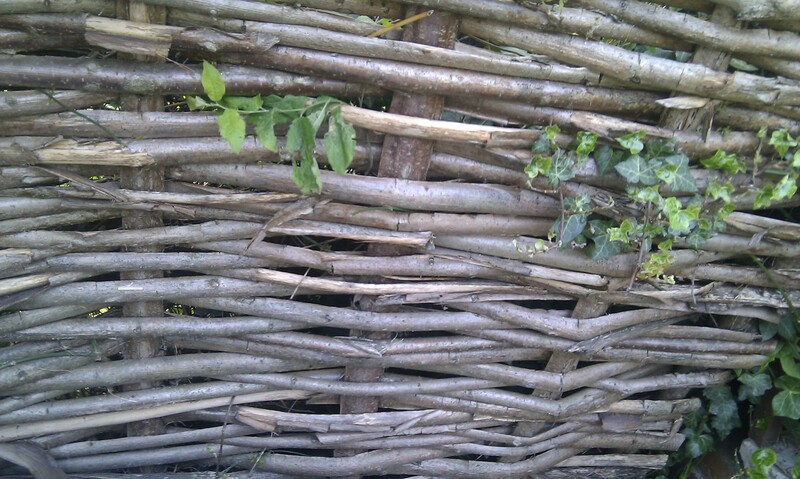 Gate hurdles to protect the crops from pecking chickens and stampeding puppies. 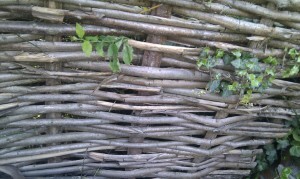 Woven hurdles screening compost and covering gaps in the fence. Beanpoles and pea sticks in the vegetable beds. Oak shingles on the wood shed and some spares in it. Firewood and kindling. Charcoal in bags in the shed. It’s a strange sight in this urban garden although the neighbours are equally baffled by the chickens and even the normal horticultural stuff. It stops people in their tracks when they stumble across Iain at work in the woods. We don’t think of woodlands as places of work, except maybe in the sense of industrial scale forestry in Canadian pine forests. Finding a lone guy with a pile of sticks and a billhook is a curiousity. Our wood has ponds the agent claimed are ancient earthworks. Whatever the truth of that, it is unmistakable from the shape of the trees that sometime last century someone else worked these woods. Woods were places of work and tools just as farms and cities are. The website pattern for tennis slams events seems pretty stable with the Wimbledon strawberries being the only major addition I can remember recently. The apps on the other hand evolve quite dramatically for each slam. As the slams happen every January, May, June and September they can be an interesting model for an app business that refreshes itself on a predictable and quite rapid cycle. 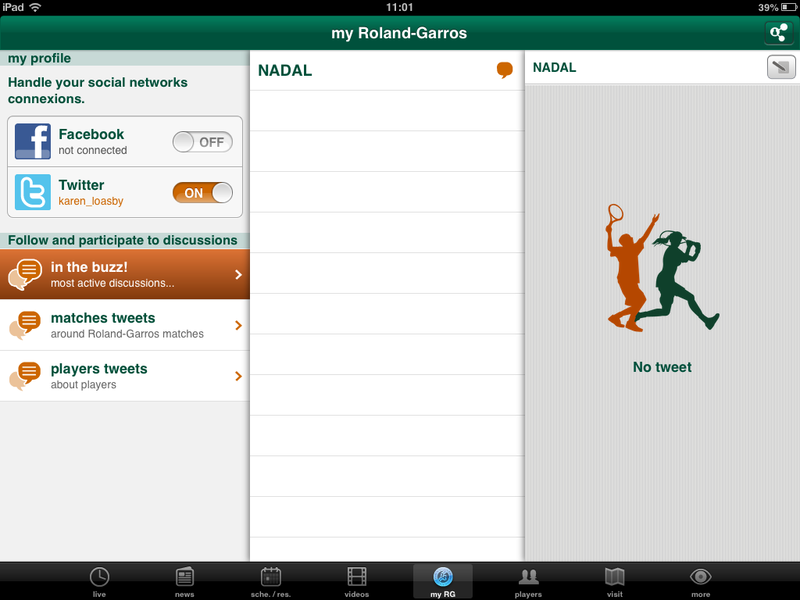 Last year’s US Open iPad app seem liked a significant move forward with a main social screen but Twitter and Facebook interaction have been resolutely buried again in this year’s French Open app. There is a social area but nothing ever seemed to load there. Instead of the social screen the default view is an aerial of the ground with a scattering of scoreboards for matches going on. I imagine this could be a helpful first view but it rarely seemed to be up-to-date when I launched the app. The space dedicated the viewing the main match was a waste for me (and most users?) as live video was only available to Orange mobile customers in France. The whole app is slow and often takes an age to actually load today’s scores. Frequently I would sit puzzling at screens before I realised they were a day out of date or sometimes just labelled with the wrong day. The app prompted me to set my favourite players as soon as I installed the app but never seemed to do anything with the information. I presume it is only used for notifications if anything (and I had them switched off). 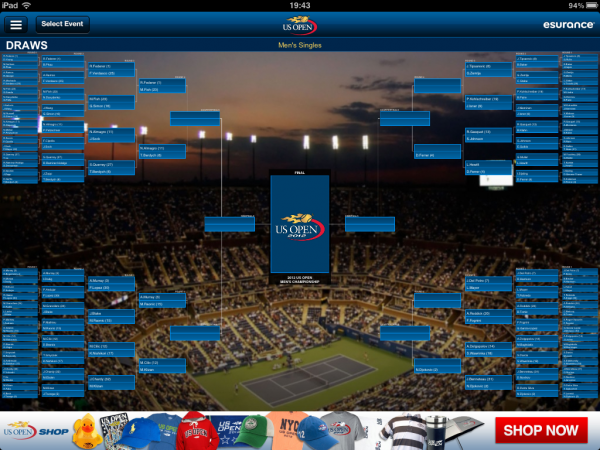 The draw seemed to be either very oddly conceived or just never loaded. I’m not sure which. To it’s credit the app was much more upfront that play had been suspended but this was the only bright spot for me. I wanted to try the Android version too but it wasn’t available for the Nexus 7. Disappointingly it seems this slam’s app is too slow to be usable, a bit buggy and a backwards step in many ways with no real innovations to compensate. Wimbledon can’t do worse that this. Can they? 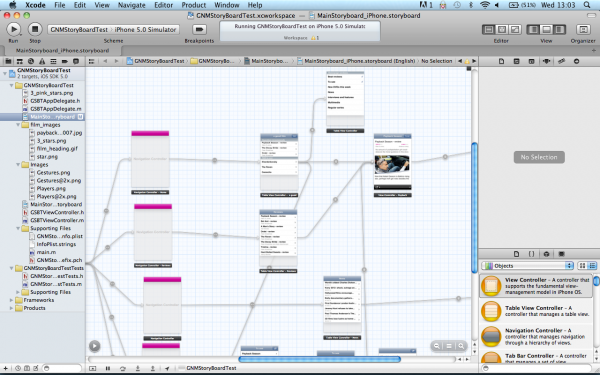 I was happy to read How To Prototype In Xcode Using Storyboard. It is good to see a resource on using Xcode Storyboarding from a designer’s perspective as I think it has huge potential if you are doing a lot of prototyping for iOS devices. I made a prototype of a Guardian Film app last year using Xcode. It took a couple of days but that included learning my way around Xcode and when it was done we could load it onto an iPhone for user testing because it was an iphone app (if not exactly something you would launch). We didn’t go on to develop the test into a full product but it would have been interesting to see whether it was worth the developers building on the Storyboard app or if they’d have needed/wanted to start again from scratch. Note: compatible with iOS 5+ only. 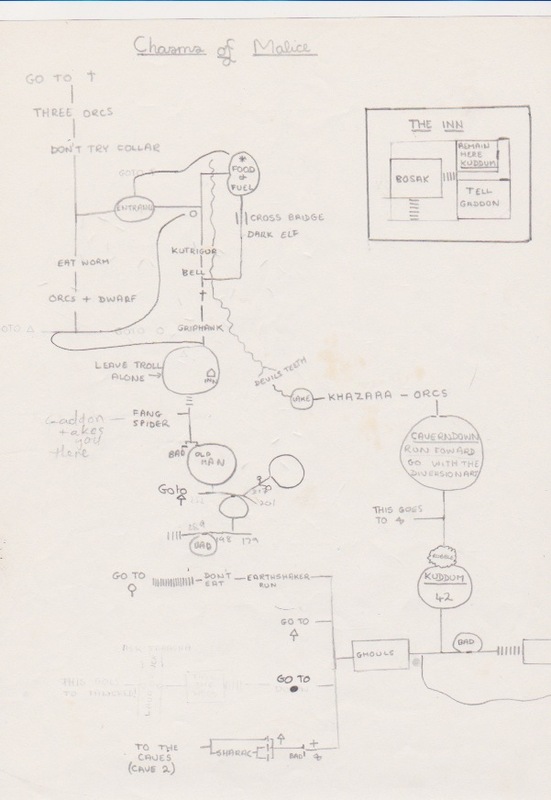 Storyboard is effectively a flowmap, but one that actually generates an app. You can add dummy/fake content or if you can handle a bit of code (or know someone who does) you can pull in the real content. 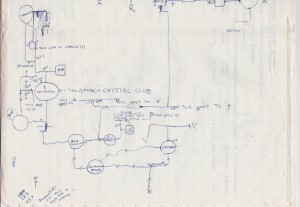 This shows the flowmap or storyboard in the central pane of the workspace (also called standard editor?). You select mainstoryboard from the project navigator to open the storyboard editor if it isn’t showing (I have managed to get stuck with another editor open and be unable to switch back to the standard/storyboard editor). There’s an arrow in a circle that collapses part of (the standard) editor that shows the app as a (file hierarchy?) 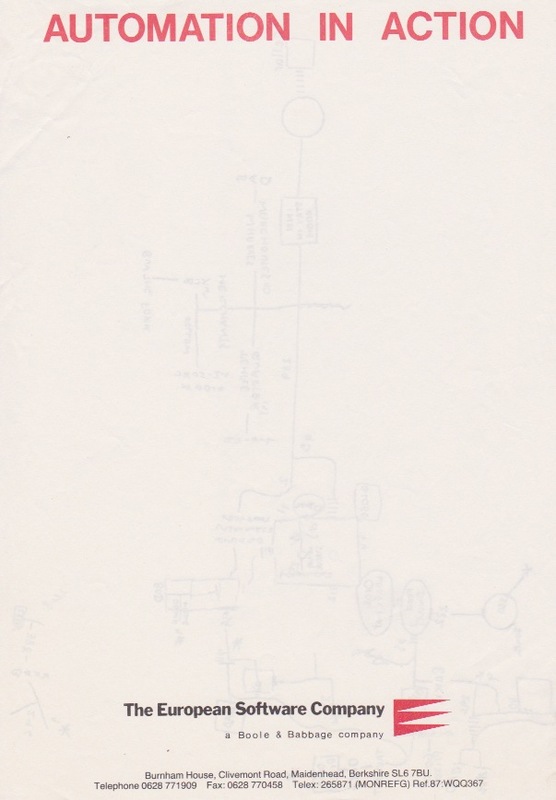 rather than a flowmap. If you can’t access an element on the canvas (say it is ‘below the fold’) then you can edit it via the ‘hierarchy pane’. You may also need to rearrange elements in the ‘hierarchy pane’ if you need an element visible in the canvas so you can create a segue. You can change navigator display using the icons at the top of the navigator, or the edit menu or the keyboard shortcuts shown above (cmd + 0 to remove all navigators). View these for an object by selecting the relevant object on the canvas. A segue is a transition between view controllers. You ctrl+drag to create a segue (/relationship?) between scenes. You’ll be asked to pick transition type but you can change this later in the attribute inspector if you select the segue. There’s also ‘relationships’ between container and child containers but are these segues or something different? I don’t entirely understand segues versus relationship. Note: You can only edit the elements of a scene when viewing in 100%, although you can create segues between scenes at any zoom. 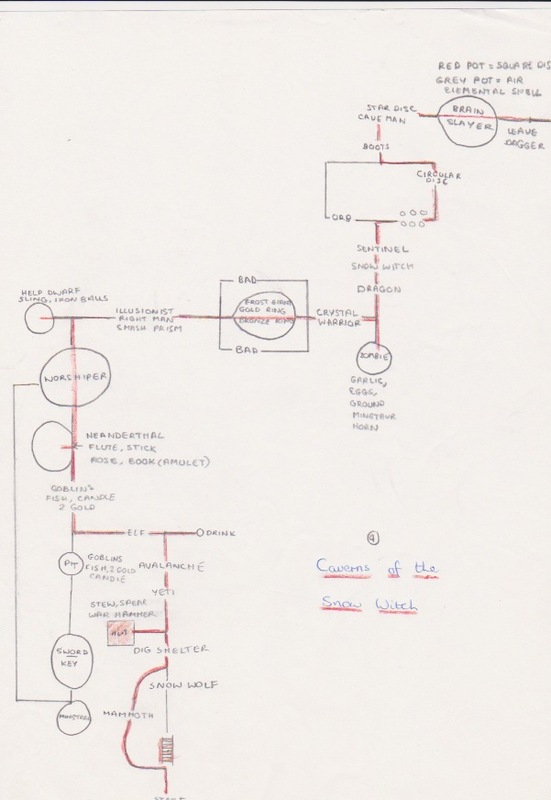 view controller: the fundamental view-management model. To get a split view or ref library controller, add a view controller then go to the Identity inspector and change the class. 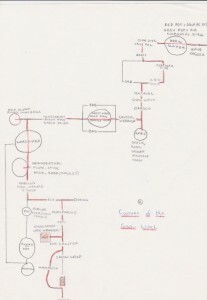 Same process applies for turning a nav controller into an image picker or video editor. The initial view controller is a setting that determines which scene is the start scene when you launch the app. Select a controller, view attributes and tick “is initial view controller”. I think this automatically un-ticks this for whichever controller was previously the intial view controller. Note: check the properties of a generic object if you can’t see the specific one you want. You can often change the sub-type. That’s as far as my notes go. If I do another project with Storyboard then I’ll add to this. The world of tennis broadcasting is a complicated one and one that has led me to some odd device behaviour. 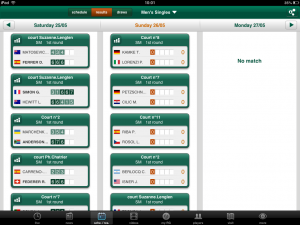 In the UK Wimbledon is free to air on BBC, as is Queens and the ATP (mens) tour final. 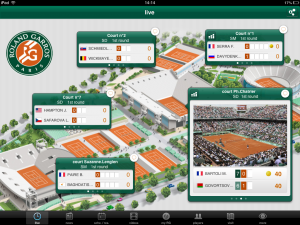 French Open is now on ITV (presumably as part of a bid for Wimbledon). With the Australian Open the BBC tends to broadcast a men’s semi and the two finals live. Eurosport showed matches but no Andy Murray ones. The last US Open was only on paid for TV (primarily Sky with some early matches and/or delayed coverage on Eurosport). 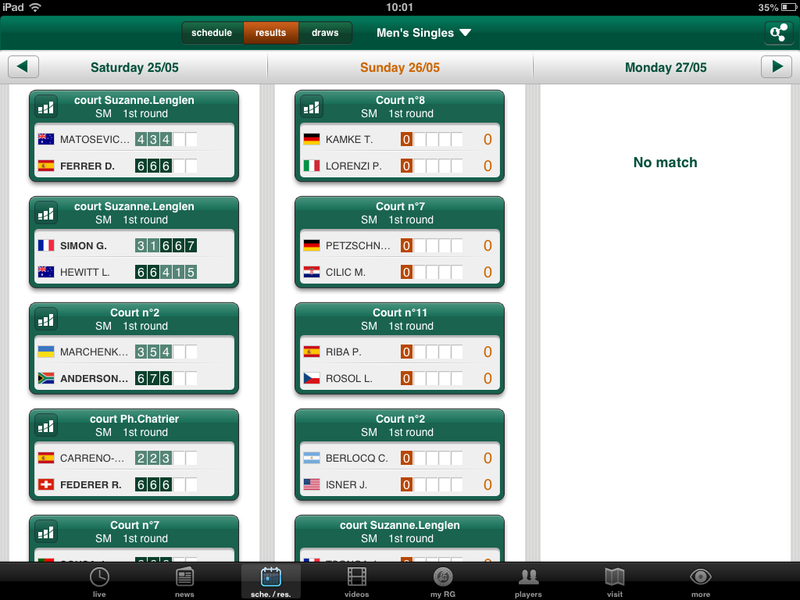 Sky also shows some ATP tournaments but not the WTA (womens) ones even when they are joint events. Eurosport used to show lots of WTA tournaments but seems to have reduced that. Many of the tournament websites stream free to air in their own territories but very few tournaments are in the UK. 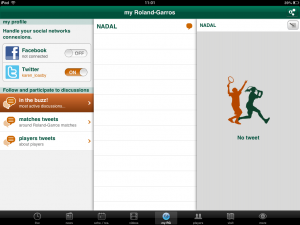 Which leaves TennisTV who show most ATP and WTA tournaments but not the big grand slams. Quite a few tournaments aren’t available if you are in their home territory (so this time being in the UK works in my favour). 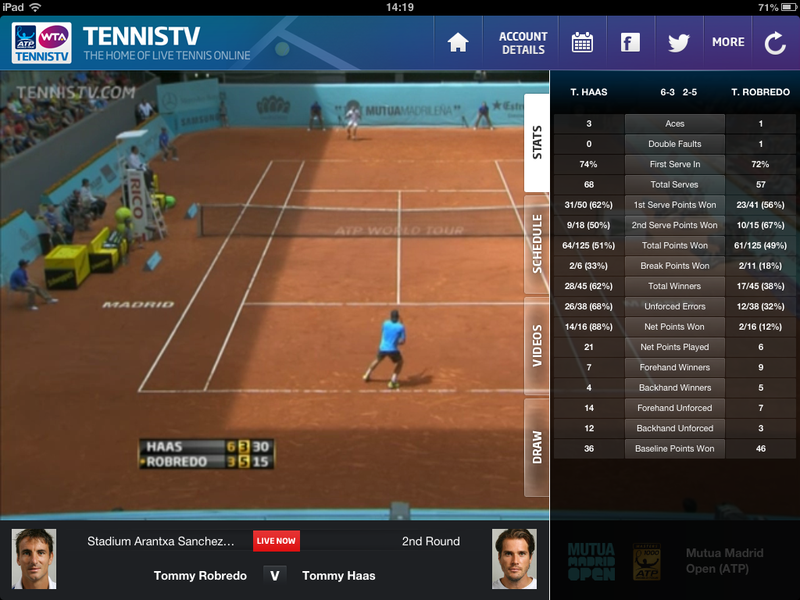 So the solution seems to be TennisTV for the tour. 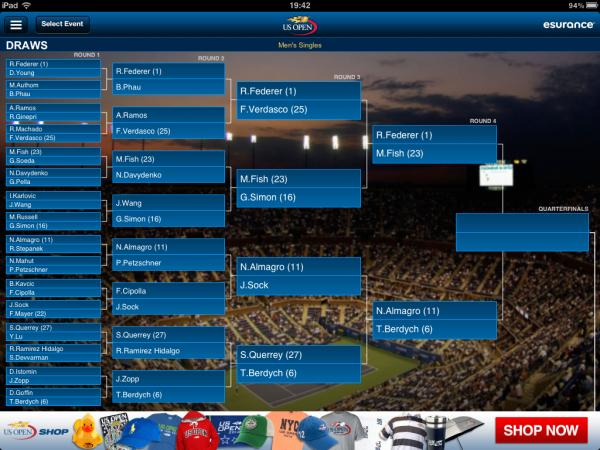 BBC for Wimbledon, Queens and the ATP final. 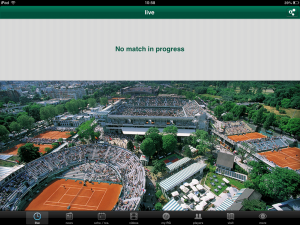 ITV for the French Open. 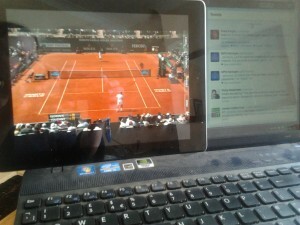 And a combination of Sky, BBC and/or Eurosport for US and Australian Opens. Subscribe online to Eurosport Player and the prices are £4.99/month or £2.99/month for a minimum of 12 months. You can subscribe via the iPad app £2.99 for a month, no minimum. 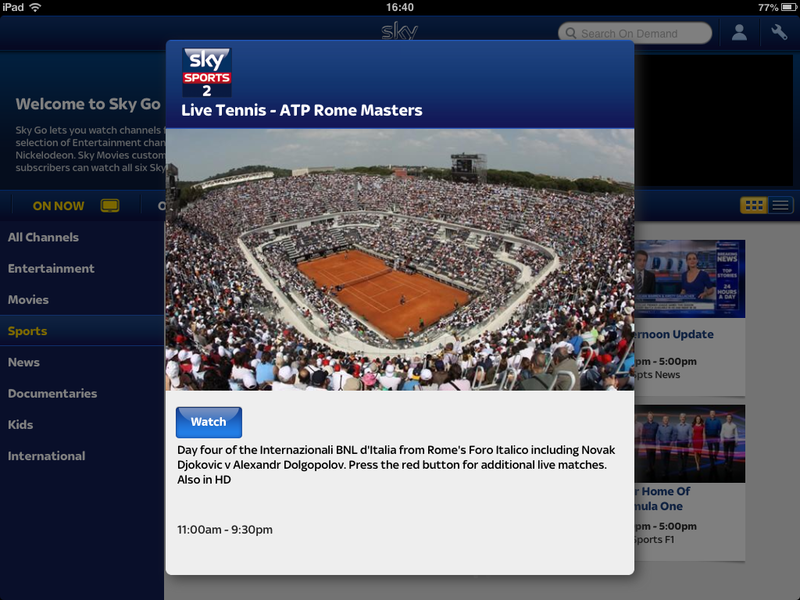 I only want Sky’s tennis coverage for a single fortnight a year. This is possible with SkyGo in spite of their best efforts to conceal the option (well, it’s possible to subscribe for a single month anyway). On the SkyGo page the information about how to get Sky Go without Sky TV in your home is a long way down the page after many suggestions that you need to be a subscriber. And it’s a closed section that you need to expand to read it. 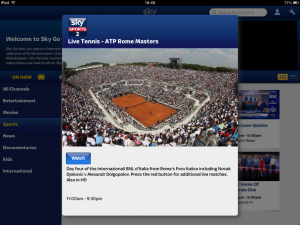 Then you can get a monthly SkyGo pass for £35/month that includes Sky sports channels. You can’t subscribe via the app itself. It would be £42.50/month to subscribe to the equivalent TV service and that would be for a minimum of 12 months. Still £35 it is a lot more than I’m paying for other tournaments so come US Open time I’ll be checking what Eurosport and the BBC are providing very carefully (and how much time I’d actually have for watching) before actually paying for this. 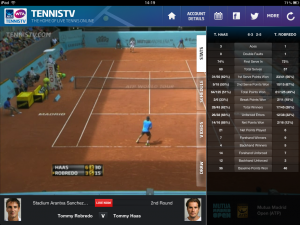 Tennis TV online is £14.99 a month or £84.95 a year but if you subscribe via the iPad app it is £6.99 for a month, 17.49 for 3 months or £57.99 for 12 months. And you can easily switch off auto-renewal. A set of phone accidents and fails has resulted in a series of rapid steps backwards down the hierarchy of phones, from lovely Nexus 4 (cracked screen courtesy of vengeful cat) to crappy Samsung Galaxy Mini (it forgot how to actually make phone calls after less than a year) right back to my trusty Nokia (recently fully submerged in water but still working fine). It’s not really that long since I was last using it. I stuck with it throughout most of my time at the Guardian. Now to be fair I also had and used one or more of those internet thingamys throughout but the Nokia remained my *phone* for quite some time. At one point I had an iPad, HTC Desire, Samsung Galaxy Mini (both Android) and HTC Mazaa (WP7). I think I only had them all on me at the same time once. So why stick with the old thing when I had access to the new kit? Well the lovely shiny things fail to meet two key needs of this user. Battery life. 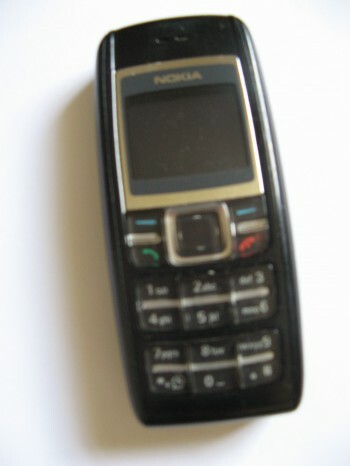 My dumb Nokia lasts a week on one charge. My phone is part of Iain’s lone worker system so the battery being dead because I’ve been using apps all day is not acceptable when chainsaws are in use. Undesirability on the streets of N17. No-one with any self respect or commercial sense would steal this phone. I’ve got very little qualms about walking out of Turnpike Lane or Seven Sisters using it. It doesn’t stick to your ear when being used as a phone. So whilst I’m missing the Nexus 4, I am also rediscovering the joy of a phone that just focuses on being a phone. None of my grandparents are still alive. Helen died when my mum was little, Walter when I was just out of university and May & Tom shortly after I got married. I have some things that might traditionally be considered my inheritance from them, although some of the things might seem a little odd. From Walter I have cigar boxes, tins, wooden boxes, a stack of leather skins and offcuts, old curtains, and photos. From May & Tom I have a meat slicer, pie tins, knifes, a Mrs Beeton, a stone rabbit, a red honeysuckle plant, jewellery, and photos. Walter was stubborn and eccentric. A big food lover. So much of a storyteller that we don’t know how much of the family history is true. He was a cobbler, creative, a good craftsman but not such a good businessman. Helen I never knew. She was a matron. Mum’s memories make her sound gentle and caring. She was able to live with Walter so must have had super-human tolerance and patience. And thrift. May was an organiser. She had a document tabulating all the holidays they had even taken, with destinations, dates and travelling companions. Food cupboards had lists of their contents pinned to the back of the doors. Food prices at different stores were noted in a book kept by her armchair. 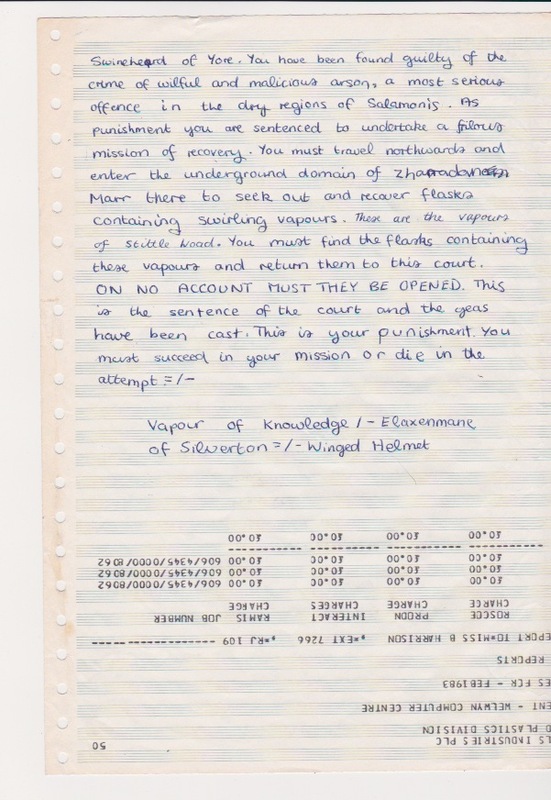 Household accounts were monitored with double entry book-keeping. She’d been a civil servant before getting married. They let her stay on so long as she kept using her maiden name but her working life came to end once my dad was born. A whole lot of pent-up organisational ability got directed towards running the home like a miniature government department. I recognised a lot in Hallie’s My Grandmother the IA presentation. Tom was very different to May. He needed a few cigarettes a day, friendly chats and no office politics at work. That was about it for his demands from life. So other things I may have inherited are pleasure in a simple life, in organising things and in crafting things. And probably a bit more from Walter than I prefer to notice. Last April I wrote about how I’d rather have a puppy than my iPad. Now I have both! I do get more exercise. The accuracy of my ball throwing is also improving. I do need less heating, but only in the morning. Finchley is not willing to be a lapdog after noon. On the vacuuming topic, I’m an idiot. Whilst it is true than Finchley hoovers food from the floor she often does so whilst depositing a baffling amount of dog hair and sawdust. Luckily she is pretty much Roomba compatible. Upfront costs were cheaper than iPad but not as cheap as a rescue dog (she’s an intentional cross-breed rather than any old mutt). The ongoing costs have indeed been substantial including vet bills for having excessively long ear hairs, medication to counter the horrific consequences of the puppy being an ‘indiscriminate eater’ and the cost of providing decent food (this is a much more compelling imperative for a pet whose poo has to be picked up in little plastic bags). I did not die from the excitement but I do bounce with happiness more than I did 6 months ago. 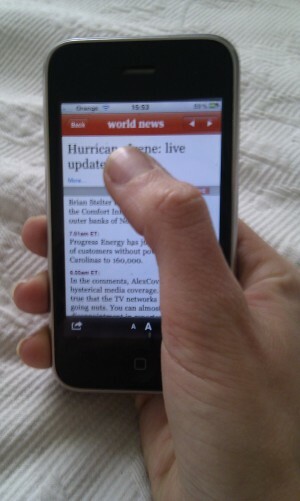 In an early version of the BBC’s iPhone 5 launch story the main image was captioned “Apple said the larger screen could still be easily operated with one hand”. I read that and thought, still? Last year I spent some time using the Guardian’s iPhone app and wondered why I found it so awkward to navigate when the Android app I was used to is basically the same thing just with some Android tweaks. The awkwardness came from needing to press the back button in the top left. I couldn’t reach it with my thumb. I couldn’t reach the top left on the HTC Desire I was using either but it didn’t matter because you navigate back using the hardware back button at the bottom of the phone. Ben Lang on Carrypad points out that the (old) iPhone dimensions are generally better for one-handed use as the squarer proportions give the thumb more range, but it’s specifically the iOS design pattern of back top left that thwarts me. Other stuff appears in the top left on Android apps but not things i need for every other interaction. Ben makes a similar complaint about the Android interface but I don’t find the notifications to be core interactions and centre-top isn’t as hard to reach left-top. I guess on the larger screen sizes that Ben is concerned about even centre-top becomes a difficult reach. But top-left is a problem for me even on the 3:2 ratio iPhones. Now I know I’m generally a smaller scale human being but I didn’t think my hands were exceptionally dinky. Hand anthropometry data confirmed my thumb is on the small size but not freakishly so. Apart from Ben’s article I only came across one other piece on how (small) hand size might affect touch screen design. There seems to be more out there about larger fingers and the challenges they have with typing and target areas. So it appears that if my thumb and I want to use my phone single handed then I’ll have to stay away from iPhones. Given the trend with Android and Windows seems to be bigger and more rectangular, I may be increasingly out of luck there too. Can we have a small phone backlash please? And no important stuff top-left ok? 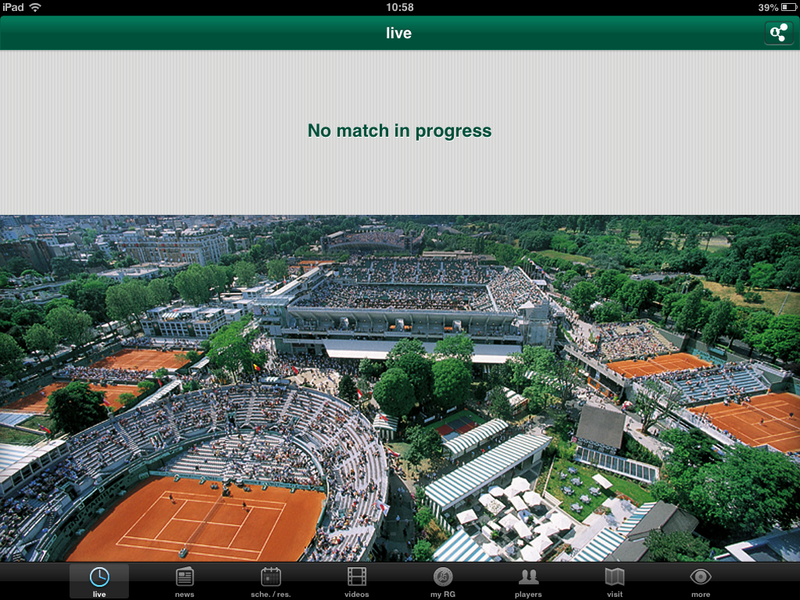 The US Open iPad app is one of the better attempts at a tennis app. That may sound like faint praise but it isn’t a sport that regularly covers itself with app glory. The start screen just shows you the most regularly useful content, rather than trying to present even handed journeys to everywhere. 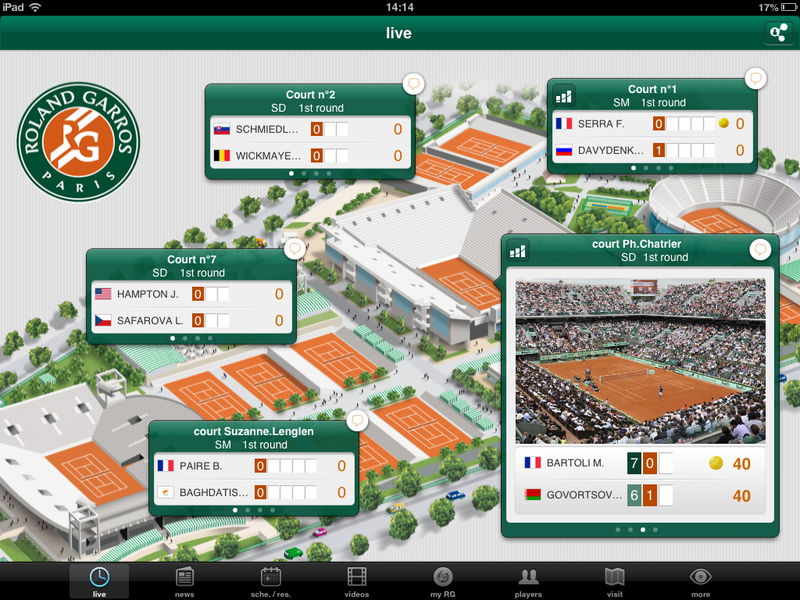 You can see what’s happening at a glance and swipe across to see a number of key courts. They’re also making heavy use of multiple Twitter feeds, broken down by court which makes each stream a bit easier to handle. The app doesn’t have the serving information from the website. Including that would help give more of a sense of what’s actually happening for those using the app as replacement coverage. 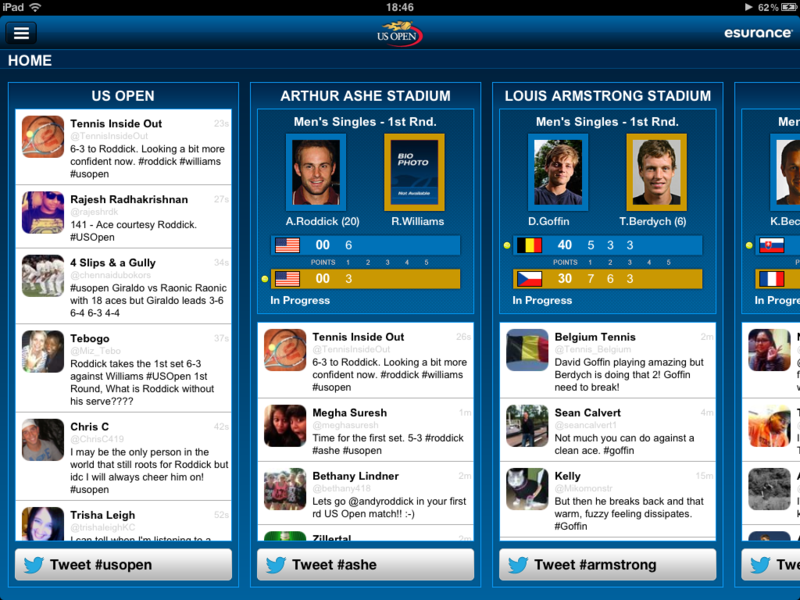 Also noticeably missing (esp for the US Open) is any notification when there is a rain delay. I’ve repeatedly thought the app had stalled when actually play has been suspended. Not sure why ‘In Progress’ didn’t just get swapped for ‘Suspended’. Maybe it did on the wireframes. I was also impressed with the display of the draw, especially after the failures of the Wimbledon digital experience on that score. 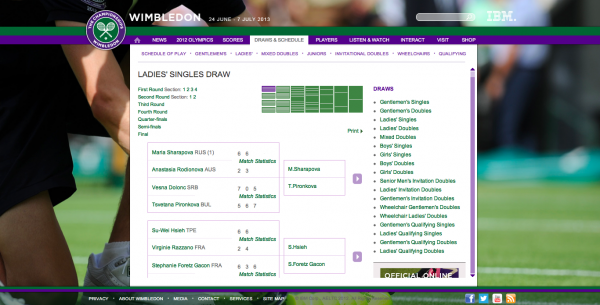 Wimbledon managed to fit the same depth of the draw on their (scary) website as they had in their phone app. They achieved this by putting the content in frames and going a bit overkill on navigation. Quite a (un)impressive feat. The same thing happens with US Open website and mobile app (also from IBM), although the website is not quite as bad as no frame is used and you can scroll to use more of the screen real estate. 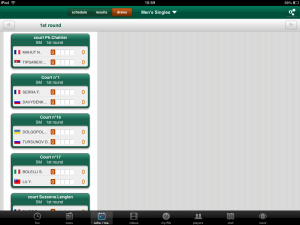 But the iPad app is dramatically different and is able to show an entire quarter of the draw for five rounds (and the ad gets more prominence here too). If you tap on the match it brings up the score, something that the interface doesn’t really convey. The only problem I had with this was that they’ve deviated from the conventional left to right for the full draw and instead arrange each quarter into a quarter of the screen. You can see this if you zoom out but I was initially confused when I scrolled to the bottom of the page looking for the second half of the draw. Scrolling from left to right when you are in the middle of this page is a bit of a wobbly experience. Oddly the Slam Tracker data that IBM make such a big deal about is really buried. The only way to get to it is to go into the Live score pages and tap on the match. 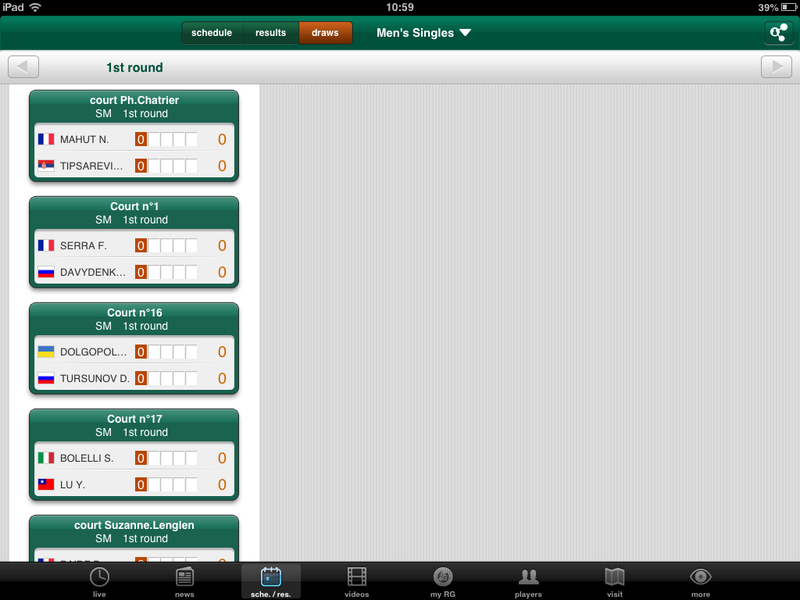 Again the interface doesn’t suggest the match is tappable. And it doesn’t work from the homescreen. I only discovered it because I read elsewhere that the app included Slam Tracker and went hunting for it. It’ll be interesting to see what IBM do with this for the Australian Open in January. Although I probably won’t make much use of it, with most matches happening while I’m asleep or pre morning coffee consumption.